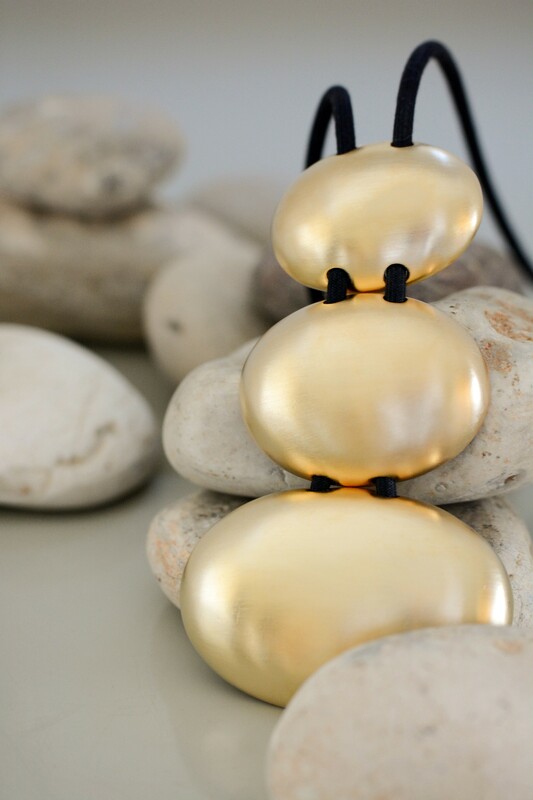 This necklace is a true statement piece, made from three matte gold color plated elements. 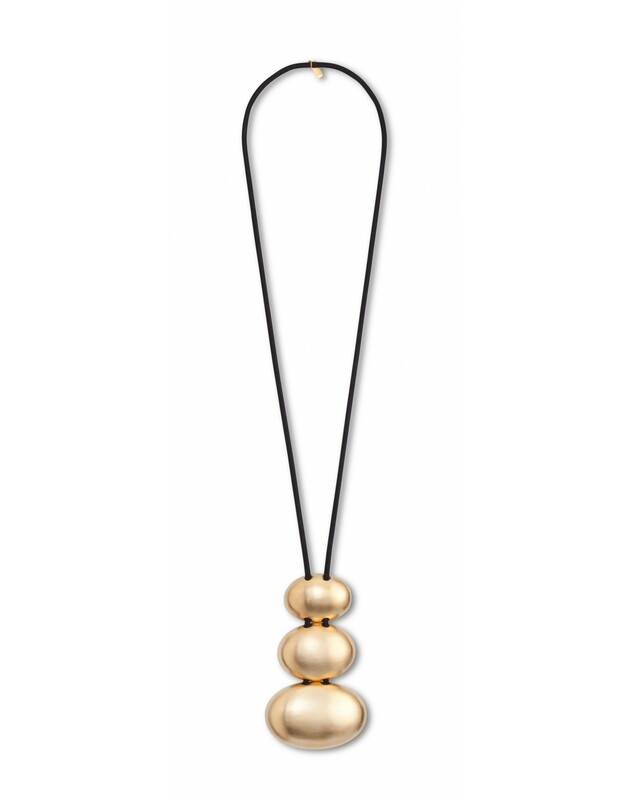 Highlight your personal style and showcase your unique look with this necklace. 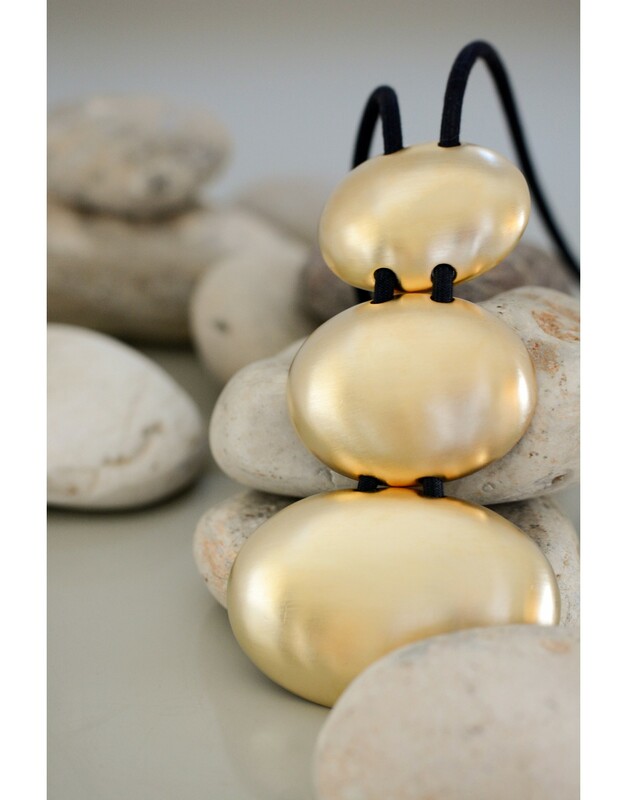 Three metal elements plated with matte gold color and arranged into rocks, this necklace is a true statement piece. Designed to attract attention and highlight your personal style, this pewter necklace is the perfect addition to any outfit.